Custom Shirts are printed with metallic gold foil and up 3 lines of personalized text can be added. 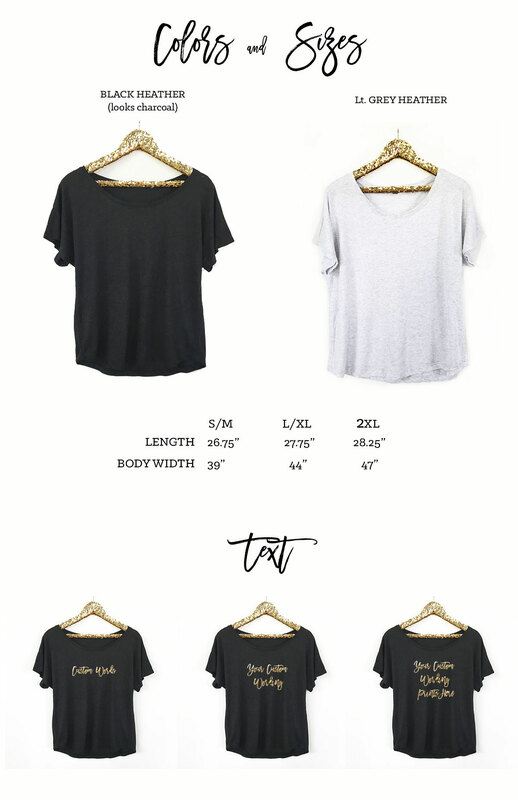 Our loose fit shirts are dolman style – if you want them to be off the shoulder order a size up. 1 line of text is included in the price - each additional line is $1.50 extra – up to 3 lines max. Max Characters per line are 12. Please put desired text in the notes section of the order and select the correct number of lines before adding to cart.